Since 1945, our company has been manufacturing metalworking fluid additives in pace with the evolving needs of the market. Elé customers enjoy low minimum order quantities, short lead times, and flexible customer service tailored to their unique formulation needs. Other companies may shy away from customized requirements; Elé welcomes them. 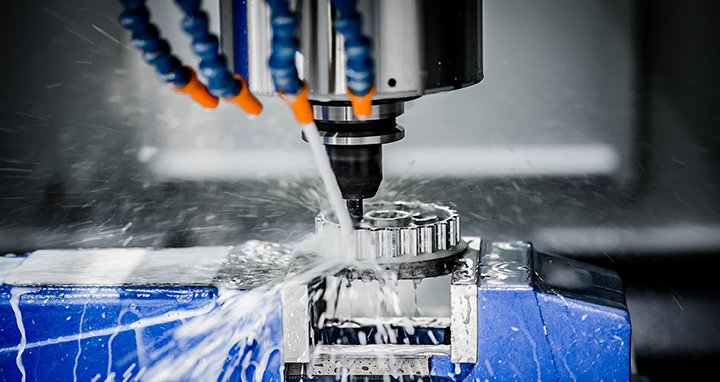 Metalworking components from Elé are used in soluble oils, synthetic and semi-synthetic fluids for cutting, grinding, drilling, rolling, drawing, stamping, casting and other applications. Our vast range of multifunctional products can provide emulsification, lubrication, corrosion inhibition, cleansing, defoaming and other attributes valued in metalworking applications. Our solutions to our metalworking customers’ distinct challenges are always creative, reliable and cost-effective. For over 60 years, we have manufactured chemicals and lubricant components tailored to meet our customers’ exact needs for buffering, cleaning, corrosion protection, emulsifying and lubricating. Plus, we offer responsive service and flexibility to cost effectively manufacture from 1,000 kilos to 20 MT of a variety of multifunctional chemistries.